Sweet and tender medallions from the sea, our all-natural Sea Scallops are wild-caught in the U.S. Creamy, delicious and surprisingly easy to cook, just defrost, salt well, then sauté or pan sear and serve with your favorite sauce and bright, fresh veggies. It's seafood that's simple and sophisticated! 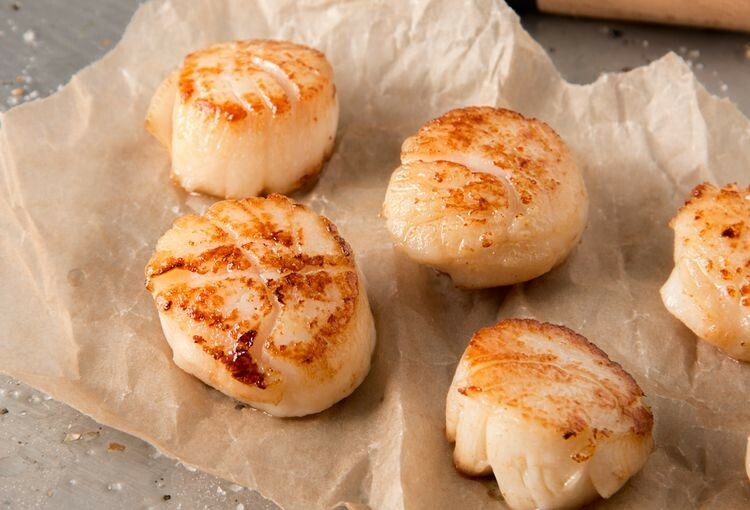 These create the best scallop dishes! Super healthy, and ours are delivered fresh. Preparation Instructions: Keep frozen until ready to prepare. Defrost under refrigeration until fully thawed. Pan Searing: Pat scallops dry of excess moisture. Season scallops as desired. Add 1 tablespoon oil to preheated saute' pan. When pan starts to almost smoke, place scallops carefully standing up and let sear for 2-3 minutes per side or until golden brown in color. Remove from heat, let stand 2-3 minutes before serving. Broil: Preheat broiler. Toss scallops in oil or clarified butter. Season scallops as desired. Place scallops into ovenproof baking dish. Place in oven under broiler 2-3 inches away from heat source. Let broil for 8-12 minutes or until golden brown on top. I was really looking forward to having the scallops I ordered. Given that every other Rastelli's product I have ordered has been exemplary, I assumed the same would be true of the scallops. I was disappointed. I expected a nice sweet flavor. Unfortunately, there was no flavor at all, not unlike some other frozen scallops I have eaten lately. The scallops were definitely not bad, but they lacked the fresh sweetness I'm used to here in New England. Definitely not worth the price.